With its increasing, active economic and political interaction on the African continent, Beijing will begin to flex its military muscle by being the biggest exhibitor at the South African Defence expo. China will be the biggest exhibitor at the Africa Aerospace and Defence (AAD) 2010 expo in South Africa later this month, reflecting the growing military might of the Asian giant. The move to be the biggest displayer at the expo is seen as China’s attempts to expand military ties with the African countries in lieu of getting access to their minerals and oil reserves. China will cover more than 1,200 square metre in the expo displaying a large number of its military hardware, Defence Ministry sources told PTI here.They said the Chinese are also offering soft loans to the African nations for buying its military hardware. “It is being seen as an effort to expand its ties with the countries in the African region,” they said, adding China has been investing heavily in expanding ties with the African nations for getting access to their natural resources such as minerals and oil. Other countries that will take part in the largest defence exhibition of its kind in Africa include the US, France and the UK. Indian companies such as BrahMos aerospace, Hindustan Aeronautics and Goa Shipyard are also participating in the show. Global defence manufacturers such as Northrop Grumman, BAE Systems, Thales and EADS are also going to take part in the four-day event. This decision by China making a huge showing should not be that surprising. After all, both China and the current government in South Africa are seeking a mutually beneficial strategic relationship. Lets remember that South Africa supports China when it comes to the Taiwan issue. South Africa refused issuing a travel visa to the Dalai Lama to attend a peace conference back in 2009. This was controversial and not everyone supported the decision, but the very fact that South Africa did, wasn’t missed by Beijing. China, by making a strong showing is sending a clear message that it values its relationship with Africa’s most important country. Here is a promotional video of the expo. China this past week continued its increased investment in Africa by agreeing to deals and loans worth up to as much as $15 billion with Ghana..
LAGOS, Nigeria—Ghana and China signed project loans and another deal together totaling $15 billion, the latest in a string of Chinese investments on the continent. The loans, coinciding with a six-day Beijing visit by the West African nation’s president, John Atta Mills, highlight China’s strong interest in resource-rich African countries such as Ghana. Ghana is preparing to tap massive oil fields that are expected to turn it into one of Africa’s biggest energy producers. On Wednesday, the China Export Import Bank and the government of Ghana signed a $10.4 billion concessionary-loan agreement for various infrastructure projects, payable over 20 years, the government of Ghana said on its website. The loan is subject to approval by the Ghanaian parliament and cabinet. A separate loan of $3 billion, from the China Development Bank, is slated for Ghana’s burgeoning oil-and-gas sector. Ghana is set to begin oil production later this year and will soon pump 120,000 barrels a day, according to government and oil-company estimates. The China Development Bank also guaranteed more than $400 million for water and what it called e-governance projects in Ghana, according to the government website. Separately, Ghana signed an agreement valued at $1.2 billion with Chinese company Bosai Minerals Group to build a bauxite and aluminum refinery in Ghana over four years, according to several Ghanaian newspapers and the state-run Xinhua news agency. Bosai Minerals would purchase 80% of the shares in Ghana Bauxite Co., according to the newspapers. Ghana Minister for Energy Joe Oteng-Adjei said details of the various projects will be disclosed after the president’s delegation returns to Ghana. Africa looms large in that strategy. One of Exim Bank’s three overseas branches is in Africa—in Johannesburg. The others are in Paris and St. Petersburg. China Development Bank in 2007 set up the China-Africa Development Fund with an initial $1 billion to finance trade and investment in Africa. The bank opened its first branch in Africa in November, in Cairo. The constant investment in Africa is beginning to help more Chinese companies make inroads. 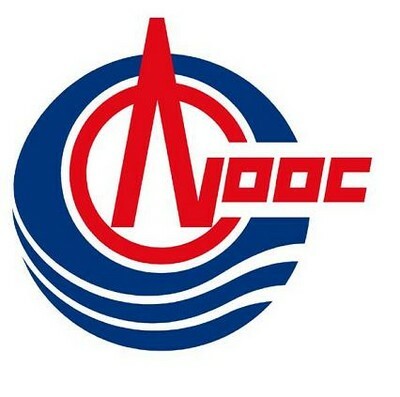 Last year, state-run oil company China Petroleum & Chemical Corp., known as Sinopec, bought oil-exploration company Addax Petroleum, which has major assets in West Africa, for $7.2 billion. And this year, state-run China National Offshore Oil Corp., or CNOOC, put itself in direct competition with U.S. oil giant Exxon Mobil Corp. when it signed an agreement with Ghana’s state oil company, GNPC, to buy a stake in the Jubilee oil field, one of the biggest recent oil discoveries off Ghana’s coast and one in which Exxon had been trying to purchase a stake. Ghana’s deputy minister of finance and economic planning, Seth Tekpeh, confirmed the $10.4 billion infrastructure loan. “The repayment for these loans would not come from the budget but through exports,” Mr. Tekpeh said in a telephone interview. Mr. Tekpeh didn’t elaborate on which exports would pay for the loans. Some see a signal for the West in such agreements. “China doesn’t just give away money. What they’re really saying is we’ll get a Chinese company to come in and do a project for some amount,” said Yofi Grant, an executive director of Data Bank, an investment bank in Ghana. “But it’s a good signal to the U.S. and the U.K. China gives state support for these kinds of projects,” he said. I think the signal is being read loud and clear. Each year, the U.S. government makes 50,000 permanent residence visas (“green cards”) available through the Diversity Immigrant Visa program. Visa applicants are selected through a computer-generated, random lottery. The selection of a person’s name in the lottery gives that person the opportunity to take the next steps in the visa application process. 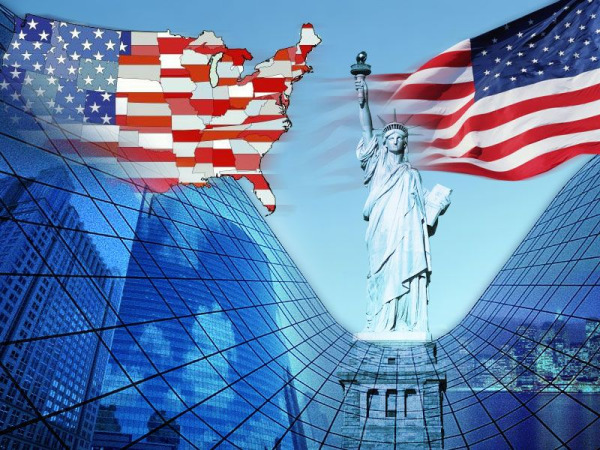 Registration for the 2011 Diversity Visa Lottery (DV-2011) is open from October 5th to November 3rd the U.S. State Department has announced. The Department of State’s DV-2012 Diversity Visa lottery program registration period will open on Tuesday, October 5, 2010. Entries for the DV-2012 Diversity Visa (DV) lottery must be submitted electronically between noon on Tuesday, October 5, 2010 and noon on Wednesday, November 3, 2010, Eastern Daylight Time (EDT) (GMT-4). During this registration period, applicants may access the electronic Diversity Visa entry form (E-DV) at www.dvlottery.state.gov. Paper entries will not be accepted. Applicants are strongly encouraged not to wait until the last week of the registration period to enter. Heavy demand may result in website delays. No entries will be accepted after noon, EDT, on November 3, 2010. The U.S. Department of State invites press to a DV-2012 briefing at 1:00 pm on Monday, September 27th at the Washington Foreign Press Center in the National Press Building at 529 14th Street NW, Suite 800, Washington, DC 20045. For more information about this briefing, contact Andrea Corey at 202-504-6354. The congressionally mandated Diversity Immigrant Visa Program is administered annually by the Department of State. Section 203(c) of the Immigration and Nationality Act makes up to 55,000 Diversity Visas (DV) available each fiscal year to persons from countries with low rates of immigration to the United States. The Department of State implemented the electronic registration system beginning with DV-2005 in order to make the Diversity Visa process more efficient and secure. The Department utilizes special technology and other means to identify those who commit fraud for the purposes of illegal immigration or those who submit multiple entries. Continuing this effort toward a more efficient and secure DV program, the Department of State is introducing an entirely online process to notify lottery entrants of their selection and to provide information about the immigrant visa application and interview. From May 1, 2011, DV-2012 entrants will be able to use their unique confirmation number provided at registration to check online through Entry Status Check at http://www.dvlottery.state.gov to see if their entry was selected. Successful entrants will receive instructions on how to apply for immigrant visas for themselves and their eligible family members. Confirmation of visa interview appointments will also be made through Entry Status Check. More information can be found here at State Department Site. CAMP BASE, KISANGANI, Democratic Republic of Congo - United States Army Brigadier General Christopher K. Haas, commander of U.S. Special Operations Command Africa, returns the salute of Lieutenant Colonel Pepe Tongawa, commander of troops, while Democratic Republic of Congo (DRC) General de brigade Akama Kifwe, commander of the DRC's ninth military district, watches. Haas was at Camp Base to participate in the graduation of more than 750 DRC soldiers trained by his command as part of Operation Olympic Chase. Operation Olympic Chase was a nine month course designed to form a fully professional light infantry battalion with supporting medical and engineering elements. Instruction included small unit tactics, communications, medical care, HIV/AIDS prevention and humanitarian de-mining. This past week, 750 Congolese Soldiers Graduated from U.S.-led Military Training, Form Light Infantry Battalion. KISANGANI, Democratic Republic of Congo, Sep 20, 2010 — Dignitaries from the Democratic Republic of Congo (DRC), the United States, the United Nations and the international community, recently gathered at Camp Base, a military base near Kisangani in north-central DRC, to participate in a ceremony marking the graduation of about 750 DRC soldiers trained by the U.S. and the activation of a light infantry battalion that is intended to be a model for future reforms within the Congolese armed forces. Those trained included members of the newly designated 391st Commando Battalion, supporting medical and engineering personnel and trainers who can bring similar training to other units within the Armed Forces of the DRC (Forces Armées de la République Démocratique du Congo, widely known as FARDC). CAMP BASE, KISANGANI, Democratic Republic of Congo - Lieutenant Colonel Pepe Tongawa, Democratic Republic of Congo (DRC) commander of troops, awaits the beginning of the graduation ceremony for more than 750 DRC soldiers trained by U.S. Special Operations Command Africa as part of Operation Olympic Chase September 15, 2010. Operation Olympic Chase was a nine-month course designed to form a fully professional light infantry battalion with supporting medical and engineering elements. Instruction included small unit tactics, communications, medical care, HIV/AIDS prevention and humanitarian de-mining. The train-and-equip mission, part of a long-term, multi-lateral U.S.-DRC partnership to promote security sector reform in the country, will assist the DRC government in its ongoing efforts to transform the FRDC. During the ceremony, DRC Minister of Defense Charles Mwando Nsimba explained the significance of the training for his country. The training is intended to increase the ability of the Congolese army to conduct effective internal security operations as part of the FARDC’s rapid reaction plan, help preserve the territorial integrity of the DRC, and develop an army that is accountable to the Congolese people explained DRC Brigadier General Jean-Claude Kifwa, commander of FARDC’s 9th Region. This initiative also represents one aspect of a long-term, multiagency, international approach to promote a sustainable peace through the creation of a model unit in the FARDC. Major John Peter Molengo, commander of the training center at Camp Base shared his perspective on the training program. For him, it was more than just the training of a single battalion though. “In my mind, the most significant achievement was the training of about 200 trainers who will form the core of our future training initiative. This will ensure that the DRC can continue this program on its own and train other, similarly capable battalions in the years to come,” he said. This training was completed as part of Operation Olympic Chase, a program managed ad executed by U.S. Special Operations Command Africa, a sub-unified command of U.S. Africa Command (U.S. AFRICOM). The operation began in December 2009 with a 12-week course to prepare commanders, officers, non-commissioned officers and a core group of instructors in the skills necessary to train, manage and lead a light infantry battalion. Instruction at Camp Base began in February 2010 and included courses in small-unit tactics, communications, medical care and HIV/AIDS prevention and humanitarian de-mining. For Lieutenant Djo Mahgalu Mukaso, the battalion’s S-3 or operations officer, the training made a lot of sense. “We learned individual tactics then how to work with a team mate, then at squad, platoon, company and finally battalion levels. We learned the proper role of officers and non-commissioned officers. This was completely different from anything we had ever done before. There was a lot of material and it was a challenge remembering everything we learned,” he said. However, for Mukaso, the best part of the training was the time they spent in the field. In addition to traditional military training, the battalion received instruction on the respect of human rights, the prevention of sexual and gender-based violence, and the relationship between civilian and military authorities in a democratic society. Brigadier General Kifwa, commander of FARDC’s 9th Region, speaking at the ceremony, said this is indicative of the high expectations for this battalion. “The Army we’re building must obey the laws of the Republic, human rights and international law at all times and in all places,” he said. The training also included an innovative program, in conjunction with the Borlaug Institute, aimed at making the battalion food self-sufficient through the development of sustainable agriculture and aquaculture programs. Under this program soldiers in the battalion learned how to clear and prepare land for agricultural, plant and cultivate various food crops and to raise and care for livestock and fishponds. Since February 2010, soldiers from the battalion have cleared and planted corn, cassava and vegetable gardens, built two fishponds stocked with more than 40,000 fish and planted native acacia and lucenia trees to be used as a food source for livestock. The goal is for the battalion to be food self-sufficient within two years. Lieutenant Moussa Munzangu, the battalion’s S-4 or logistics officer has seen the difference made by this initiative. In all, this training has produced a capable and professional light infantry battalion, supporting elements and trainers that can serve as a basis for larger transformation of the FRDC. “The This magnificent battalion will set a new mark in this nation’s continuing transformation of an army dedicated and committed to professionalism, accountability, sustainability, and meaningful security,” said Brigadier General Christopher Haas, commander, U.S. Special Operations Command Africa (U.S. SOCAF). This initiative is also indicative of the strong U.S. support for security sector development in the DRC according to Cynthia H. Akuetteh, director of the U.S. State Department’s Office of Central African Affairs. In addition to senior DRC officials, and U.S. representatives from the State Department, Department of Defense, U.S. AFRICOM and U.S. SOCAF, guests at the ceremony included representatives from the United Nations Observer Mission in the Democratic Republic of Congo (MONUC), the European Communications Security and Evaluation Agency (EUSEC), and civil society leaders, including members of the religious communities, human rights groups, University of Kisangani authorities, and local and national press. ACCRA, Ghana - Lieutenant General Peter Blay, Chief of Defense Staff of the Ghana Armed Forces (right), escorted by U.S. Navy Commander Britt Talbert, Africa Endeavor (AE) 2010 exercise director (left), conducts a pass and review of the more than 35 AE 2010 participants during the exercise's closing ceremony at the Ghana Armed Forces Command and Staff College in Accra August 20, 2010. Africa Endeavor 2010 is a U.S. Africa Command-sponsored initiative intended to encourage interoperability and information exchange among African nations via communication networks and subsequent collaborative links with the United States, African Union and other African partners with common stability, security and sustainment goals. It came to a close last month. Accra, Ghana, Aug 23, 2010 — Africa Endeavor (AE) 2010 came to a close August 20, 2010, with a ceremony held at the Ghana Armed Forces Command and Staff College parade grounds in Accra, Ghana. AE 2010 is a U.S. Africa Command-sponsored initiative intended to encourage interoperability and information exchange among African nations via communication networks and subsequent collaborative links with the United States, African Union (AU) and other African partners with common stability, security and sustainment goals. “Future operations in Africa depend on the combined multinational militaries of the nations represented here today in order to effectively communicate amongst themselves,” said Major General David Hogg, U.S. Army Africa commanding general. During this two-week communications exercise, African and European partners and the U.S. worked together to develop standard tactics, techniques and procedures that can be used in future humanitarian assistance, disaster relief, and peace support missions. As a result of previous years’ successes, the number of participating countries increased by 40 percent for AE 2010. A few countries returned after taking a year off from the training, but Liberia, Mauritania, Mauritius, Mozambique, Republic of Congo, Seychelles, and Togo joined in the exercise for the first time. Some of the training ran parallel with AE 2009, but new areas were also incorporated in 2010. One example of this is the first radio call to a vessel at sea from an AE event site. The U.S. Coast Guard Cutter Mohawk was off the coast of Africa and agreed to help run the test, so that AE participants could attempt to establish communications. After a couple attempts, the land-to-sea radio call was a success, proving that African nations could maintain communication between inland locations and their maritime forces. Another incorporated training event was a satellite call conducted from the AE site in Accra to the AU Peace Support Operations Center in Addis Ababa, Ethiopia. The demonstration showed AE participants how useful reliable communication between the nations and the AU is during times of disaster relief. “The newly incorporated signal techniques will be planned for and incorporated in future exercises,” said U.S. Navy Commander Britt Talbert, AE 2010 exercise director. Through newly incorporated training and careful planning, AE 2010 proved to achieve its goal of taking a step forward in improving interoperability and creating new ties between African nations. “By taking part in this event, we have demonstrated a commitment to harness the power of communication technology for ensuring the long-term peace, stability, and prosperity of the African continent,” said Hogg. African nations participating in AE 2010 included Algeria, Benin, Botswana, Burkina Faso, Burundi, Cameroon, Cape Verde, Chad, Djibouti, Egypt, Ethiopia, Gabon, Ghana, The Gambia, Kenya, Lesotho, Liberia, Malawi, Mali, Mauritania, Mauritius, Mozambique, Namibia, Nigeria, Republic of Congo, Rwanda, Sao Tome & Principe, Senegal, Sierra Leone, Seychelles, Southern Sudan, Swaziland, Tanzania, Togo, Uganda and Zambia. The first AE was held in Pretoria, South Africa in 2006. Subsequent exercises took place in Abuja, Nigeria in 2008 and in Libreville, Gabon in 2009. Here is a previous post on the military exercise. CAPE TOWN, South Africa - A C-130J with the 143rd Airlift Wing, Rhode Island Air National Guard airlift unit located at Quonset Point, Rhode Island gets ready for take off at Air Force Base Ysterplaat in Cape Town, South Africa September 20, 2010. The 143d will be working together with other military forces at Air Force Base Ysterplaat, South Africa at the Africa Aerospace & Defence (AAD) 2010 exhibition. Members of the US New York Army and Air Guard are going to participate in South African Air show. LATHAM, N.Y., Sep 22, 2010 — More than 70 members of the New York Army and Air National Guard from Long Island, the Hudson Valley and the Capital Region, are in Cape Town, South Africa this week participating in the African continent’s largest air show, the Africa Aerospace and Defense Exposition 2010, September 21-25. “Support missions such as this afford our New York National Guard a continuous capability to strengthen our partnership with the South African National Defense Forces,” said Brigadier General Renwick Payne, New York National Guard director of joint staff. “We in New York are looking forward to opportunities like this to exchange and share information about how we prepare soldiers and airmen for the demands of today’s contingency missions,” said Payne, the ranking New York National Guard officer on the mission. CAPE TOWN, South Africa - Soldiers with Detachment 1, Alpha Co, 1-224 Aviation Security and Support Battalion, New York Army National Guard, unload an OH-58 Kiowa September 17, 2010 at Air Force Base Ysterplaat in Cape Town, South Africa from a U.S. Air Force C-5 Galaxy. The support battalion will be participating in the African Aerospace Defence Exposition 2010. The HH-60 Pavehawk helicopter belongs to the 106th Rescue Wing based at Francis S. Gabreski Airport in Westhampton Beach Long Island. The wing, featured in the movie “The Perfect Storm,” also sent 25 airmen, including pararescue specialists, to participate in the show and conduct military-to-military activities with South African forces. Participation in this air show is part of the New York National Guard’s ongoing relationship with South Africa. Confirmation has been made that President Obama will attend United Nations meeting on Sudan this upcoming week. U.S. Ambassador to the United Nations Susan Rice said Obama had accepted an invitation from U.N. Secretary-General Ban Ki-moon to a September 24 meeting on Sudan on the margins of the annual General Assembly gathering of world leaders. The meeting in New York will bring together leaders from U.N. Security Council and other interested countries as well as United Nations, African Union and World Bank representatives. It is expected to focus on a January 9 referendum among the people of semi-autonomous southern Sudan on whether to become an independent country, as well as on the seven-year-old conflict in Darfur, western Sudan. “The president sees this meeting on the 24th as a very important vehicle for focusing international attention on … (the referendum) as Sudan approaches really the last critical 100 days before that vote takes place,” Rice said. Earlier, U.S. Secretary of State Hillary Clinton said Sudan was a “ticking time-bomb” ahead of the vote and that the international community must redouble efforts to head off violence there. The State Department said Clinton had telephoned Sudanese Vice President Ali Osman Taha and southern leader Salva Kiir on Wednesday. It also said that Scott Gration, U.S. special envoy for Sudan, would make a new trip to the region on Thursday to pursue talks on preparing a peaceful referendum. In Khartoum, state news agency SUNA said Taha told Clinton that Sudan’s government was committed to holding the plebiscite. Clinton expressed her “satisfaction” with the progress toward holding the referendum, and also thanked the Sudanese government for helping to release a U.S. aid worker in Darfur last week after she had been held by kidnappers for more than 100 days, SUNA said. The referendum stems from a 2005 peace deal between Sudan’s mainly Arab north and mainly non-Arab south that ended a 20-year war after 2 million lives had been lost, mostly through hunger and disease. 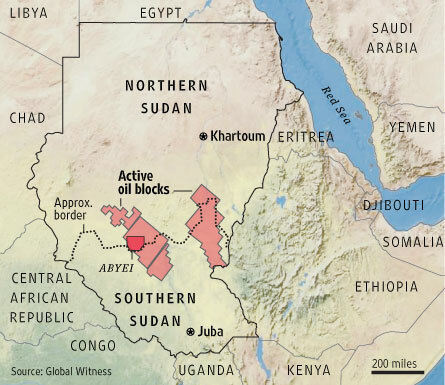 Key problems need to be resolved before the vote, especially on defining the north-south border, along which most of Sudan’s oil wealth is believed to lie. “The situation north/south is a ticking time-bomb of enormous consequence,” Clinton said in response to a question after a speech on U.S. foreign policy at the Council on Foreign Relations think tank in Washington. She said the United States had put “all hands on deck” to help with referendum preparations, noting that former senior U.S. diplomat Princeton Lyman had been sent to help the two sides thrash out key issues on sharing wealth and power. U.S. officials have openly said they see the referendum as the key issue at present in Sudan. But some activists have criticized Gration for what they say is an overly conciliatory approach to the northern government in Khartoum, and for appearing to minimize the violence in Darfur. A 2003 uprising in Darfur sparked a harsh government response, leading to a humanitarian catastrophe that the United Nations says has killed as many as 300,000 people. Other countries have not said who they are sending to the September 24 meeting in New York, but Obama’s attendance is likely to raise its profile. The Washington Post reported that the Obama administration has held daily interagency meetings on Sudan for the past two weeks. It’s all in preparation for President Obama’s first direct interaction with Sudanese leaders since taking office; this week he will meet for an hour with Sudan’s Vice President Ali Osman Taha and South Sudan’s President Salva Kiir on the sidelines of the United Nations General Assembly. In short, with all that remains to be done to prepare for the monumental referenda in January and a smooth transition period following the vote, high-level engagement by the United States couldn’t have come soon enough. President Obama’s long awaited meeting with Sudanese leaders this week will set the stage for whether this US administration is seen as a credible arbiter in Sudan for the next 100 days and beyond.